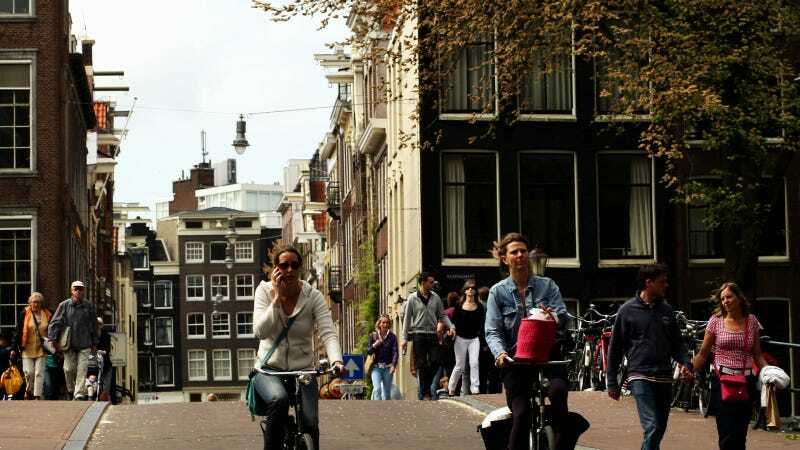 Netherland legislators have proposed banning the sale of all gas and diesel vehicles by 2025. On a per-capita level, the country already has the second-most plug-in electric vehicles of any country, behind only Norway, the Globe and Mail reports. But fully-electric vehicles there currently make up just 1.4% of sales. A majority of the lower house in the Dutch parliament supports the motion, ScienceAlert says. The country's executive cabinet must now come up with a plan to implement the proposal, the Globe and Mail says. Existing fossil-fuel-based vehicles could continue to operate until their engines give out, according to the plan. Conservative party members say the motion is unrealistic, insisting that at most 15% of all sold cars could be completely electric in 2025. “It seems crazy to get this plan to work,” Henk Kamp, the party's economic affairs chief said. But the liberal party insists its feasible. "We are ambitious, perhaps other parties are less so”, PvdA party leader Diederik Samsom said according to the NL TIMES. Of note: Netherlands is already on its way toward turning its roads into solar panels.